Microsoft has launched an adapter than can beam video from any PC or Android device that supports Miracast to a TV. 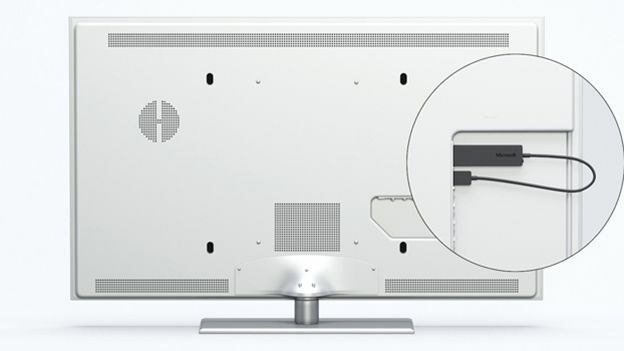 Microsoft's Wireless Display Adapter is a does-what-it-says-on-the-tin kind of device, wirelessly beaming content from a computer to a TV. And so long as that device is Miracast-capable, you'll be able to use the Wireless Display Adapter. Yup. That means that if you have an Android tablet or smartphone with support for Miracast, you'll be able to use Microsoft's new adapter to broadcast your screen to a TV. The adaptor has one major advantage of Google's rival Chromecast adaptor – unlike the Chromecast, Microsoft's Wireless Display Adapter can display presentations and movies without the need for explicit app support. The adaptor is due to launch in the UK next month for $60. There's no word on a UK launch date or price, but we'll let you know when it is announced.